Quoted by Anton Chekov “Knowledge is of no value unless you put it into perspective”, stands true in what I fathomed from my interaction with Mr. Rabindra Jena, COO Global Markets, Credit Suisse India. As lost as I might’ve been while seeking out for leaders, I chose to settle with someone I’d relate to the most. Talking to your alum instils a sense of confidence and positivity, which very much was the case with RJ (so he prefers to be called). His career graph from pursuing Mechanical Engineering, then moving on with an MBA in Finance, Strategy & Operations and ultimately now working for an international firm, is something that intrigued me about him. I came across him from my college alumni members on LinkedIn. Despite his tight schedules and deliverables, his instant responses to my messages showcased his unflinching attitude and thus helped me develop a congenial rapport with him. 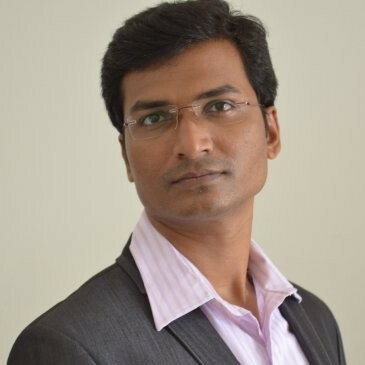 Having worked in companies like 3i Infotech Ltd, Capgemini and now Credit Suisse, RJ considers his professional life to be very rewarding which includes both pre and post MBA phase. He believes that the focus before MBA was on learning more skills and acquiring technical/functional knowledge/expertise for better growth in a competitive environment. However, post-MBA, the inclination shifted towards mastering people skills, getting better in stakeholder management: i.e. less of competition, more of collaboration. Reminiscing about his decisions in the past and how he dealt with those, he says that failures are more of a temporary setback in a certain time frame. Unless accepted, nobody is really defeated. He was able to deal with these temporary setbacks by doing simple things like reminiscing about his past success, seeking out fresh ideas from people and letting them go for some time (and then bounce back with fresh energy). In the course of discussion, I managed to garner about several incidents that took place during his stay in campus. Among those, the key learnings that benefitted his professional life was that of working in groups for assignments in college. During his stay in campus, he observed a typical thing (which was new for him) that in every assignment someone was taking the lead and few more were actively working with the leader and the rest were supporting them in every possible manner. This used to get reshuffled for different courses. This taught him a lesson that while accomplishing a bigger mission, there would be various small battles and everyone needed to contribute based on their strengths, thus, comprising the teamwork. People, their stories, their hurdles, their victories are a few of the many things rendering RJ’s passion. He loves to know about people, understand them and treasure their experiences to lead his life with a new perspective. This has helped him a lot in his mainline career (especially post-MBA) which required dealing with multiple stakeholders. He says that a winning attitude with a passion for learning helps a lot. Being humble adds to that and this is what he seeks out for, even in his team. Amidst tight schedules, meetings, duties and responsibilities, RJ definitely knows the nuances of trading off between work like and personal life. It’s more of work-life integration rather than work-life balance, he says. Utilizing the working hours for high productivity and also have quality time for innovation/idea generation is peremptory. Outside the working hours, he loves to spend time with family, read books, meet friends and relax. Unless required, he avoids overlaps which he thinks can affect work-life integration. On being asked about his achievements and what he perceives to have not yet achieved, he simply retorted that he was quite happy with all his achievements till date. It’s mostly a learning process for him. Every time he’s able to improve the efficiency and effectiveness of a repeatable task, by adding a new perspective keeps him going. Overall, an achievement for him is more of a journey than an event- a journey of improvement and betterment. Mantras are passé. According to him, believing in own abilities and having a clean, uncluttered mind sans all baggage of the past and apprehension of the future can help conquer every seemingly impossible feat. Being approachable is imperative and one source of encouragement is considering your team as a family. Forgiving and forgetting is the key towards achieving one’s goals. In this way, one definitely enjoys work, thus delivering the best. Deeds are a ransom of abilities. Having a perspective on everything that we see, hear, touch, smell, or feel, ultimately renders those abilities. Staying on the right path and focus is the code of the day. Never satiate your thirst. Exploring and innovating might lead to setbacks, but there’s a ‘might’ in every possibility i.e. a possibility without regrets. I have the deepest gratitude for Mr. Rabindra Jena, who has added another dimension in my thoughts. Also, I’m thankful to Vito Altor Ambition, without which, I wouldn’t have envisioned the above. Very well articulated. All the best. Great work Lopa. Keep up the good work. Good read! All the best Lopa! Excellent work. Too impressive to read. Impressive work Lopa. Very nice. Great work Lopa. Keep it up. Very well written ! Goodluck.